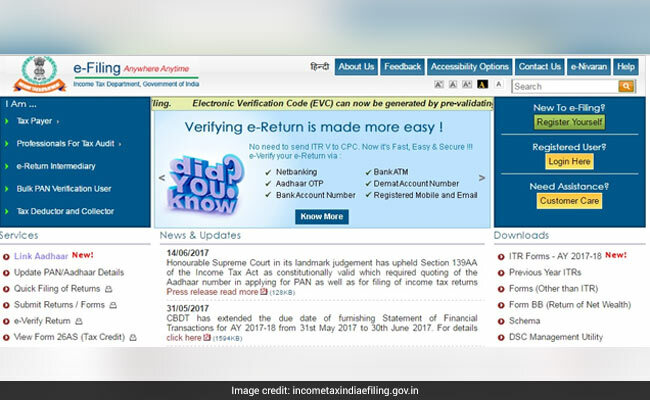 The government has extended to August 5 the deadline for filing income tax return (ITR) citing difficulties faced by assessees due to overloading of the e-filing website. Have you linked your Aadhaar with PAN or Permanent Account Number? If not, this is mandatory and the last date to do so is August 31, 2017. While the government has extended the deadline for filing ITR or income tax return to August 5, it also extended the last date to link Aadhaar with PAN to August 31. It cited difficulties faced by assessees due to overloading of the e-filing website as the reason behind pushing the income tax return (ITR) deadline. From July 1, Aadhaar-PAN linking has been made mandatory for filing ITR. The finance ministry has said that the returns will be processed after the Aadhaar-PAN linking. The government has decided that for e-filing of income tax return, "it is sufficient to quote Aadhaar or acknowledgement No. 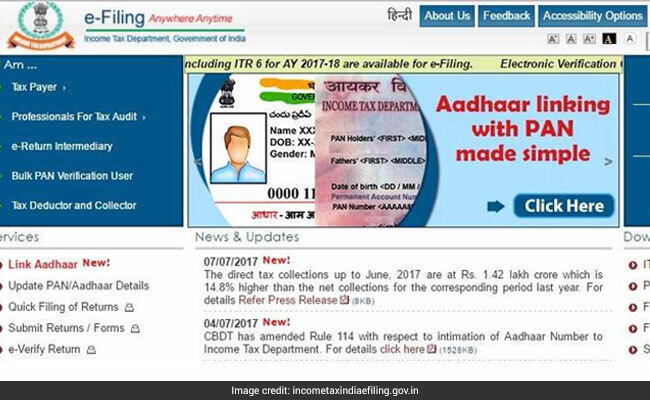 for having applied for Aadhaar in e-filing website", the finance ministry said while notifying the income tax return deadline. Also, "actual linking of PAN with Aadhaar can be done subsequently, but any time before 31st August, 2017", the finance ministry said on microblogging site Twitter. Actual linking of PAN with Aadhaar can be done subsequently before 31.08.2017. ITRs will be processed after the linkage of Aadhaar with PAN. Actual linking of PAN with Aadhaar can be done subsequently, but any time before 31st August, 2017. However, in case of assessees whose names given in the Aadhaar and PAN cards have a "minor mismatch", according to the Income Tax Department, the linking can be achieved using an online facility. Aadhaar can also be seeded into the PAN database by quoting the biometrics-based identity number in the PAN application form - for allotment of a new PAN or for reprint of PAN card, the taxman has said. "In case where Aadhaar name is completely different from name in PAN database then the linkage may fall and the PAN holder has to change the name in either Aadhaar or in PAN database or visit personally to designated PAN application centre of NSDL eGov or UTIITSL for Biometric Aadhaar authentication," it said.